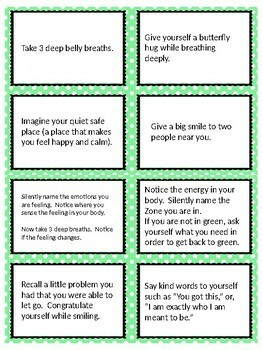 I've created some task cards that can be used to help teachers infuse self-regulation moments in their daily routines. The concepts on these cards incorporate the TOOLBOX Tools and calming choices. Feel free to download and edit or print and sort through to pick out your favorites. Go through the deck and choose the ones you think are appropriate for your class. You know your kids best so weed out any you think wouldn't go over as well. Choose a time to practice it. Could be between activities or on the way in/out the door to learning break/specials/lunch. Choose how it will be led. 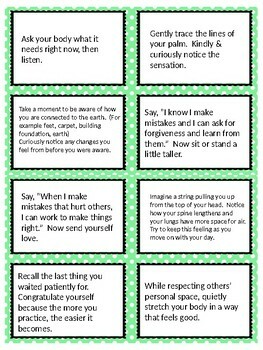 The teacher or a student could be in charge of reading the card and leading the task. 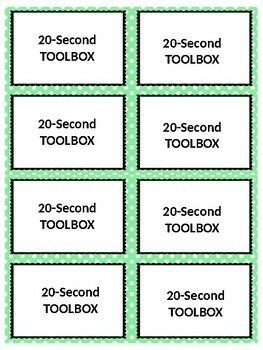 If the students are already familiar with the 12 TOOLBOX Tools, you may follow up the activity by asking them which Tool it helps them practice.